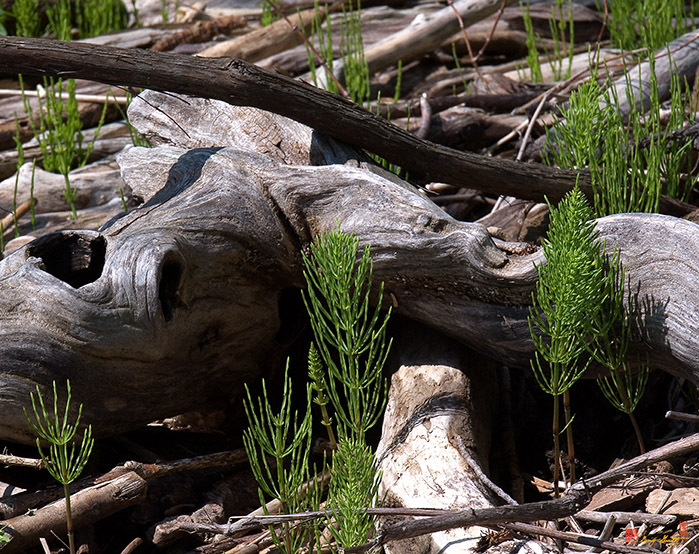 2005 Photograph, Field Horsetail and Driftwood, (Equisetum arvense), Occoquan Bay NWR, Woodbridge, Virginia, © 2014. This plant's remote ancestors had their heyday back in the days of the dinosaur. Then they were giant tree-sized monsters.